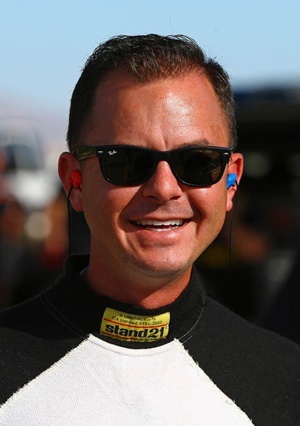 November 12, 2014 --Steve Torrence could leave Auto Club Raceway at Pomona on Sunday as a member of a very exclusive drag racing fraternity – but he doesn’t really want to. Although he enters this week’s 50th annual Auto Club Finals with a legitimate chance of finishing as high as No. 2 in the Mello Yello point standings, the 31-year-old Texan has not been able to put his Capco Contractors Top Fuel dragster in the winners’ circle so far this year. If he doesn’t get a win this week, he’ll become a drag racing footnote, one of only a handful of pro drivers to have won as many as 25 rounds in a season without winning an event. Runner-up in the sport’s biggest race the last two years, Torrence is 26-23 for the season. That’s the same record with which Doug Kalitta ended a winless 2012 campaign. Others who have had memorable seasons that didn’t include a trip to the winners’ circle include Tony Schumacher, Greg Anderson, Jack Beckman, Eddie Krawiec, Hector Arana Sr. and Allen Johnson. Nevertheless, despite the company, Torrence would be fine with keeping his own name off the list. “Those guys are all world champions,” Torrence said. “I want to be on that list with them but not on this one. The problem is we’re running out of time here. It’s this week or nothing. Although he’s never won a round of racing in the season finale, the former Top Alcohol Dragster World Champ (2005) is surprisingly confident. His mindset has everything to do with the fact that he reached the semifinals of the Circle K Winternationals last February and the fact that his dad, Billy Torrence, again will be racing alongside him in a second Capco entry. Although the younger Torrence starts Friday from the No. 6 spot in Mello Yello points, he is only two racing rounds out of second place. In fact, there are six drivers immediately behind the pacesetting Schumacher who are separated by just 68 points.